I am a regular online customer of clickoncare.com. I appreciate their quick delivery, prompt acknowledgement of order and their efficiency. 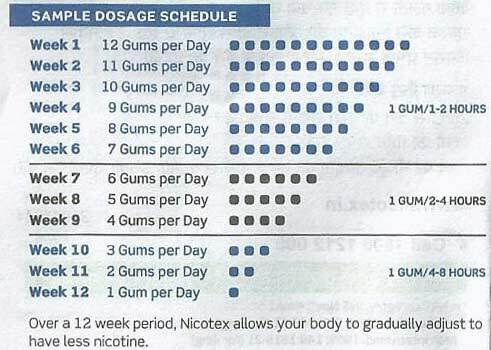 Actually, when I decided to quit smoking, I asked for a medicine to escape from the withdrawal syndrome of smoking and they suggested me Nicotex 4mg gum. A packet of 30's costs Rs 181. Then I found this site of clickoncare.com and astonishingly found there price for 30's is only Rs 169 ! Since then, though I am using now 2mg gums, I become a regular and permanent online client of them. Their product is original, packaging is good enough and sometimes I get the delivery only in 2 days !! What's more do you want ? I am in touch of this online purchase store since when I tried to quit smoking. I started purchasing Nicotex Chewing Gum from my local Medical stores. But I found that clickoncare.com supply this gum in an attractive reducing price with free home delivery....!! Oh ! From then, I am in love with this Company !! Good Service clickoncare.com Thank You!! Ask Nicotex company to manufacture more flavors, we want more flavors as well.